5 banks have been reduced by 51 times in half a year. Shareholders cashed in 1.71 billion yuan to make up their performance. 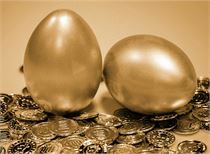 In the last moment of the annual sprint, the sale of property, sale of assets, and the sale of shares into a listed company to quickly increase the performance, dress up the annual report of the "good luck three treasures." 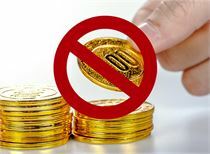 According to statistics, since June this year, the shares of Ningbo Bank, Jiangsu Bank, Bank of Communications, Shanghai Bank and Guiyang Bank have been reduced by shareholders, and the cumulative number of reductions has been 51 times, involving 147 million shares, with a reduction of 1.71 billion yuan. .
Jinjiang Investment announced on November 7th that from November 1st to November 6th, 2018, a total of 5.0902 million shares of Bank of Communications were reduced, and 1,606,200 shares of Guotai Junan were reduced. 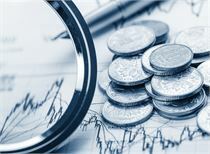 It is estimated that the pre-tax investment income will be about 47.11 million yuan. 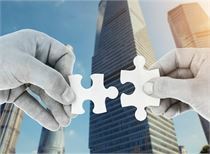 Waigaoqiao announced on the evening of November 5 that the company and its wholly-owned subsidiary, Outreach, reduced some of the available-for-sale financial assets from October 30 to November 2, with a total turnover of approximately RMB 170 million. The total profit is about 100 million yuan, accounting for 13.59% of the net profit of the most recent fiscal year. Waigaoqiao's reduction targets include Changjiang Media, Bank of Communications and Haitong Securities. However, compared with Shanshan, the reduction of the number of these two companies and the reduction of their holdings can be described as "small and sorrowful." On the evening of November 5, 2018, Shanshan said the company was on September 28 and October 31. On November 2, the company sold a total of 7.543 million shares of Ningbo Bank, accounting for 0.145% of its total share capital. It is estimated that the investment income will be about 130 million yuan, accounting for more than 10% of the company's 2017 net profit. After the reduction, the company still holds 2.34% of the shares of Ningbo Bank. This is not the first time that Shanshan has reduced its holdings of Ningbo Bank. On July 16, July 23, August 1, and September 27, Shanshan shares also issued similar announcements, respectively, to cash out 162 million yuan, 1.94. 100 million yuan, 157 million yuan, and 169 million yuan. After 5 announcements, Shanshan has already cashed 810 million yuan from Ningbo Bank in the second half of the year. According to the third quarter report of 2018 issued by Shanshan, the company's investment income from January to September was 908 million yuan. The year-on-year increase was 532.61%. Mainly to reduce the holdings of Ningbo Bank's equity to confirm investment income of 658 million yuan, received Luoyang Molybdenum dividends of 35.81 million yuan, received Ningbo Bank dividends of 67.01 million yuan, and transferred Liwei can confirm investment income of 45.11 million yuan. Shanshan shares admitted that the large investment income not only increased the company's performance, but also provided financial support for the rapid expansion of the company's new energy business. "This year's real economy is relatively weak, and many companies are in a tight financial situation. Especially at the end of the year, listed companies need to 'dress up' performance. Some companies that have suffered consecutive losses even have the demand for 'guarantee', so they have recently become more concentrated. 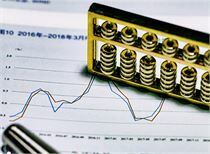 The shareholding of financial institutions, especially bank stocks, is better in liquidity and easier to cash in, so it has become the main target of reducing holdings,” said Yang Delong, chief economist of Qianhai Kaiyuan. 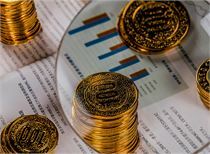 Statistics show that in addition to Ningbo Bank and Bank of Communications, since June this year, shares of A-share listed banks such as Jiangsu Bank, Guiyang Bank and Shanghai Bank have been reduced in the secondary market several times, and the cumulative number of five banks has been reduced. 51 times, with a reference market value of 1.71 billion yuan. Not only listed companies have reduced their shareholding in listed banks several times. Since this year, a large number of bank shares have been auctioned/transferred through the Ali Taobao judicial auction platform and local property rights exchanges. According to the statistics of 21st Century Business Herald, on November 8th alone, nearly 40 banks' equity was sold on Taobao's judicial auction platform. Among them, the number of discounted auctions is not small. For example, Guangzhou Rural Commercial Bank, which is currently under auction, has a starting price of 2.004 million shares of 4.804 million shares, which is calculated as 4 yuan/share, but the share price of Guangzhou Rural Commercial Bank H shares is 5.05 Hong Kong dollars, which is significantly higher than the auction price. . However, what is embarrassing is that even if the discount is so profitable, the market still does not buy it, and there is still no buyer. The “red-hot chicken” in the bank – Weizhong Bank is no exception. On November 2, Taobao’s judicial auction platform shows that the Shanghai No. 1 Intermediate People’s Court will begin an open online judicial auction on December 3. Auctioned the equity of 12.6 million shares of Shenzhen Qianhai Weizhong Bank held by Shenzhen Guanghui Petroleum Group Co., Ltd. There are also a handful of bank shares sold through local equity exchanges. Only the official website of the Beijing Equity Exchange has listed 5 bank equity transfer targets this year. According to the latest news from Hebei Financial Assets Exchange, Hebei Industrial Vocational and Technical College will open a 0.17% stake in a total of 10.2682 shares of Hebei Bank Co., Ltd., with a listing price of 3.62 yuan/share, totaling 37.135 million yuan. According to the assessment of the asset appraisal agency, the evaluation value of Hebei Bank's shares held by Hebei Industrial Vocational and Technical College is 3.89 yuan/share, with a total value of 399.301 million yuan. The listing period is from November 6 to December 3, 2018. “There are two reasons for the increase in bank equity transfer this year: on the one hand, in order to meet the regulatory requirements of 'two-in-one control'; on the other hand, the need for institutions to supplement liquidity and enrich net profit.” Century Economic Reporter said. In an interview with the 21st Century Business Herald, the head of a stock company in the west said: The reason why the bank's equity is due to the fact that the qualifications of various local banks are mixed, the economy of some regions is underdeveloped, and the bad debts of local banks are high. Heavier. "For example, our local economy does not dare to say 100%, but at least half of it is directly or indirectly dependent on resources. The price of resources has become an important weight for the profits of some companies. 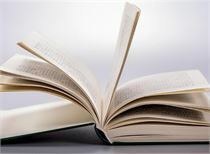 At present, the prices of some resources are still sluggish, resources are Of course, the days of enterprises are not good. Some of the loans of these enterprises have become bad banks. And the valuation of banks is generally based on the assessment of net assets, but many of the listed banks with better qualifications and more transparency have fallen below the net assets. It is really difficult to attract investors based on the valuation of net assets,” said the head of the above-mentioned stock company. It is reported that a western rural commercial bank has been listed for nearly three years and still has not been sold. Well-known economist Song Qinghui is even more blunt, the bank's equity is not high, other banks are equal, and those banks that are not well-managed may be cheap and difficult to sell. From "safe" to "steady" How far is the "real estate tax" going? 27 shares collective down limit: How much room for adjustment in brokerage stocks? The 18th session of the Commission will start the IPO audit next week. There are only 239 companies in the normal trial. After the Shanghai index fell below 3,000 points, where is the next support? You can’t think of the truth behind the 100-point plunging! Will the spring offensive come to an abrupt end? Lou Jiwei: Social security fund does not pay attention to short-term fluctuations in the stock market. 800 billion provincial-level pension insurance funds have been signed. The reason for the plunge is, in the final analysis, only one!